Replacement buttons are great sellers on eBay! They are small, easy to ship, can be used for crafts, to make jewelry, or to jazz up a moderately priced jacket or blazer. 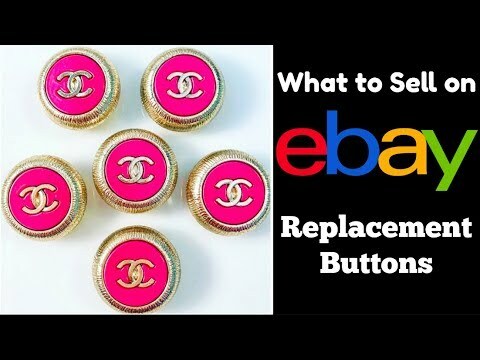 The holy grail of replacement buttons are the designer brands like Chanel, St. John, Ralph Lauren, or Burberry, but unusual things can sell for great prices, too. Even though that jacket or blazer in the thrift store is stained or torn, it may be worth buying, if cheap enough, just to remove the buttons to resell. List in either the clothing / accessories or craft categories.